Is there anything better than a freshly baked loaf of bread? Maybe but it is one of our favorite things. It is especially heartening in the colder winter months. 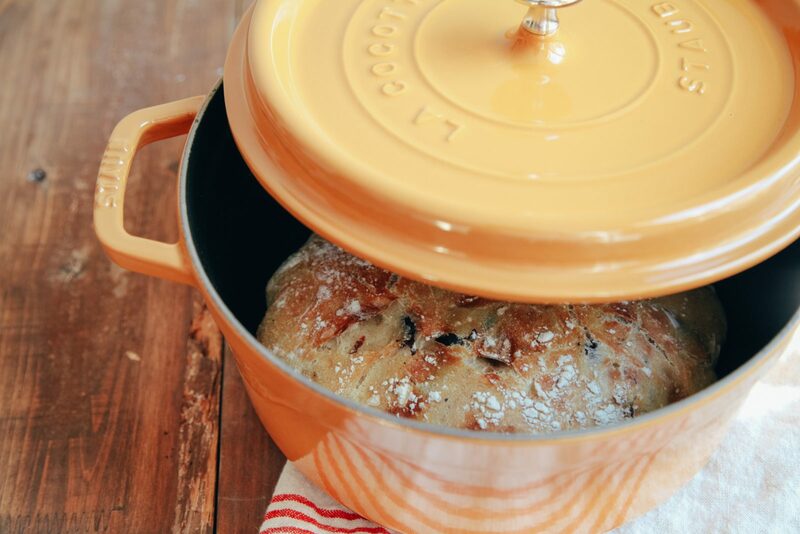 Relish Decor would like to share one of our favorite recipes for delicious bread with you. All you need are some basic ingredients and your Staub Cocotte. Get ready to slather on jam or jelly; buy that expensive butter; pick out the perfect stew recipe to go with it because your taste buds are about to get really happy. 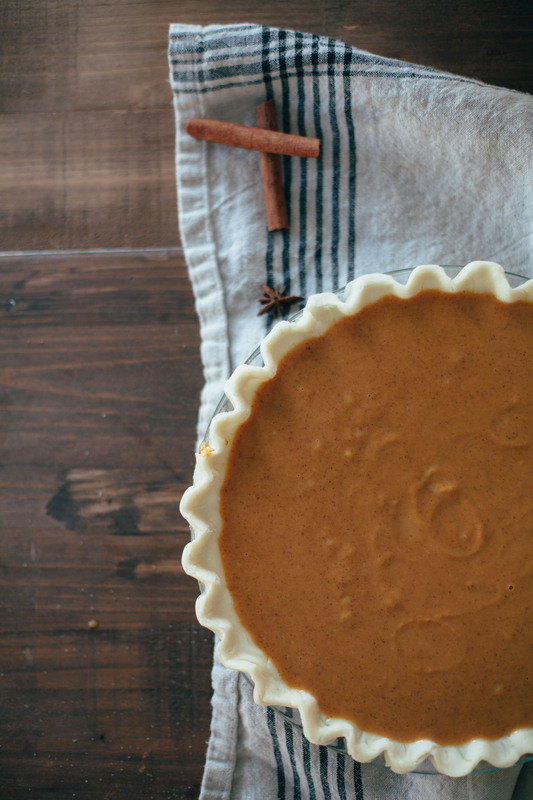 Who doesn’t love having an easy go-to recipe in their pocket for entertaining? Relish Decor would like to share one of our favorite party picks: Artichoke Dip. 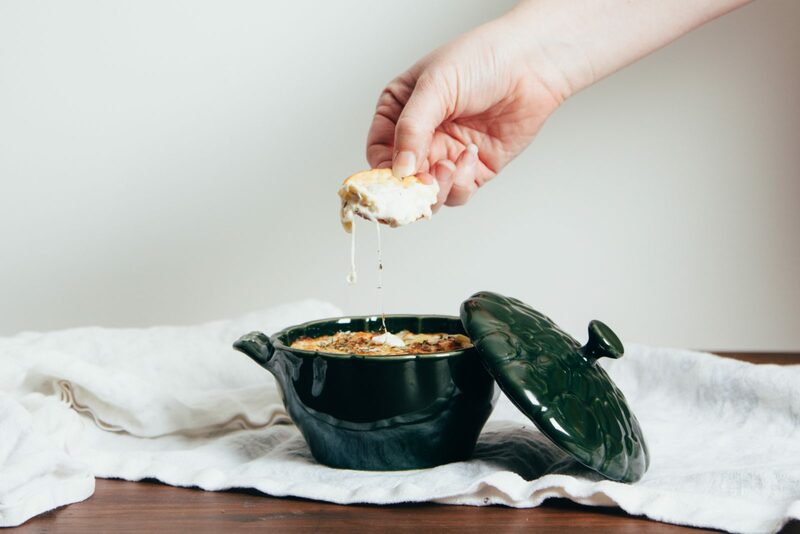 A fantastically cheesy dip guaranteed to make your guests happy. One of our tips to make it look even more elevated is serving it in Staub’s 16 oz petite artichoke cocotte. Craving chocolate? Short on time? At Relish Decor, we’ve got your fix. 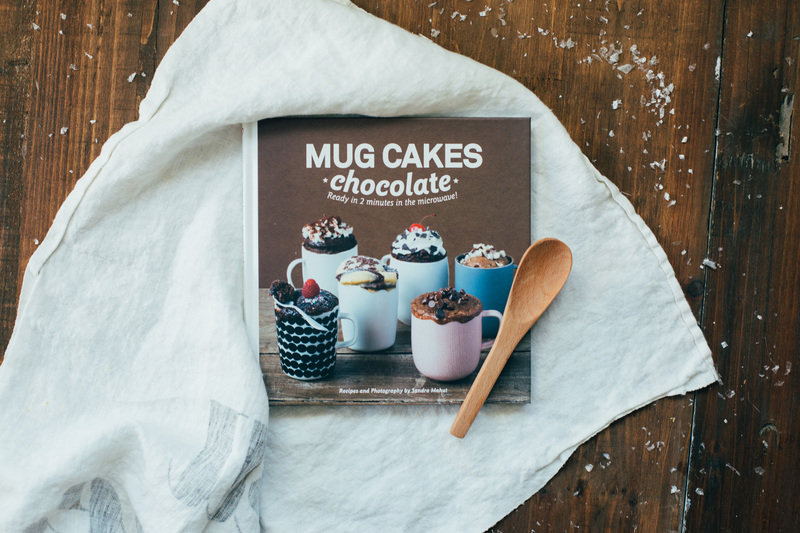 Get ready to welcome “Mug Cakes: Chocolate” into your life (and your heart). 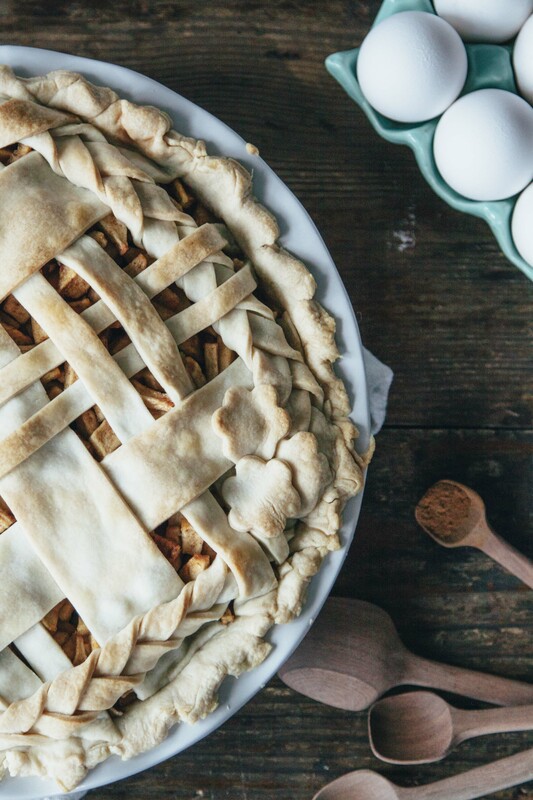 This book is chock full of recipes to satisfy your sweet tooth in a hurry. How quick you ask? Well, most of these recipes will take two minutes in the microwave. Swing by and check this one out today! It’s that time of year. The cold weather is keeping you indoors, making you crave the warmth of a lit fireplace and likely in search of a new winter cocktail. We have the perfect suggestion for you if you’re looking for new cocktail recipes for cold nights, any winter party, or just to enjoy. “Winter Cocktails: Mulled Ciders, Hot Toddies, Punches, Pitchers, and Cocktail Party Snacks” by Maria Del Mar Sacasa is Relish Decor’s go to pick this winter season. There is something for everyone and every occasion. 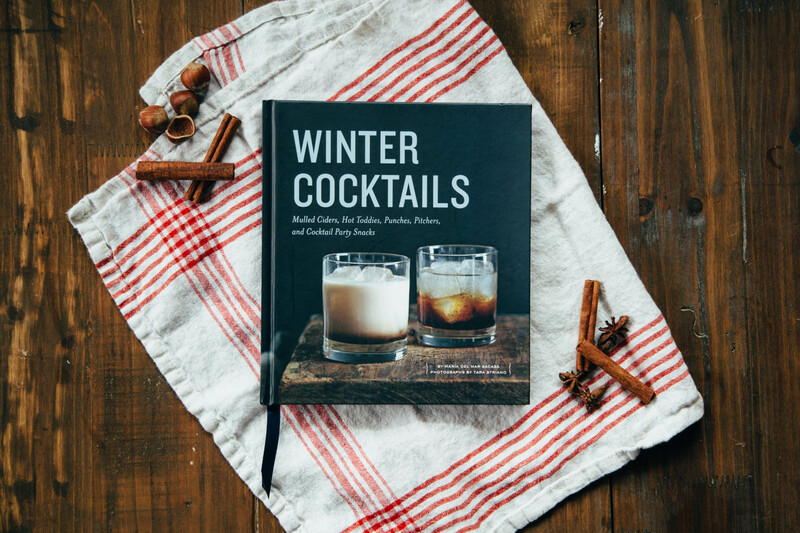 If mixing up a new cocktail sounds like something you want to try, swing by and snag this book for yourself. 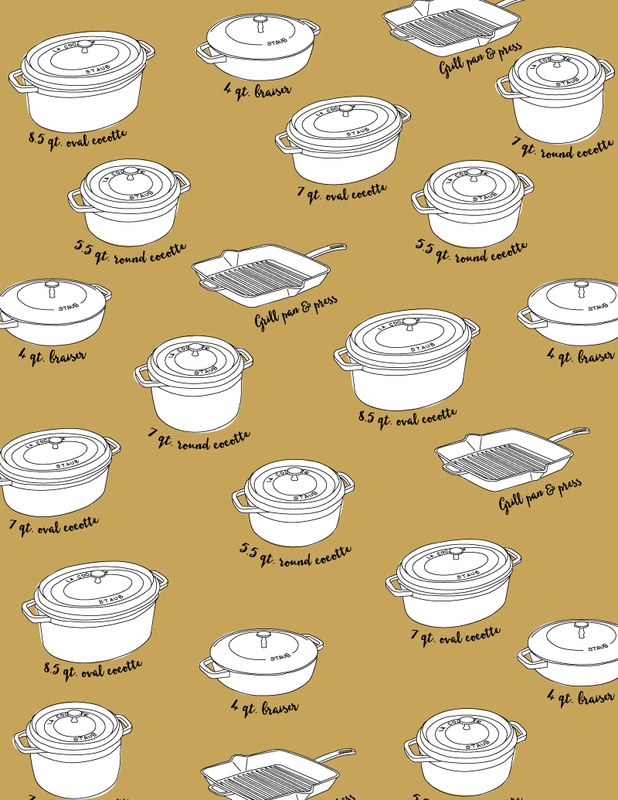 Fast Review: Every recipe you could possibly need from the maker of your favorite cookware. 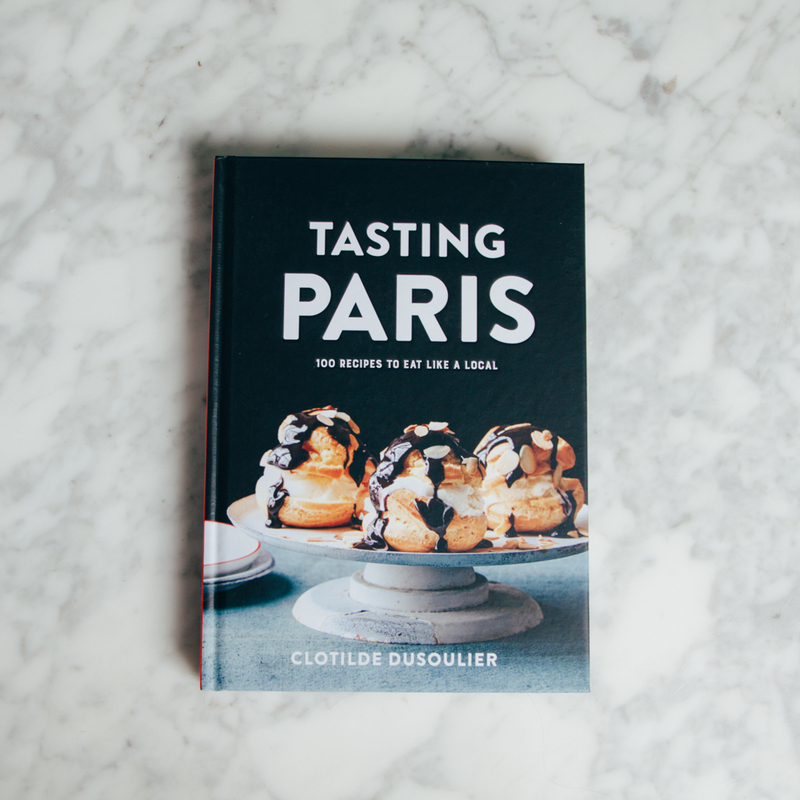 If you’ve ever stared at your beautiful Staub dutch cocotte and wanted some fresh new inspiration on how to use it, this book will have your answers. 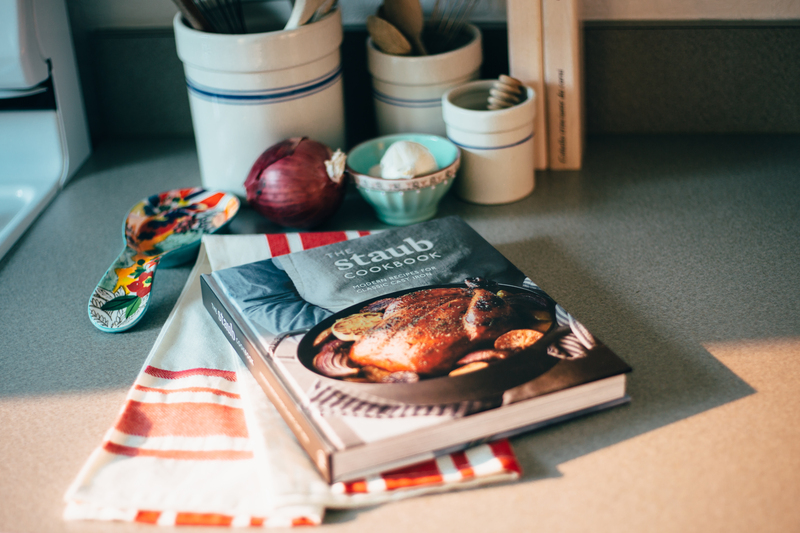 The recipes are all meant to highlight the Staub philosophy of hospitality and encourage the act of bringing people together.